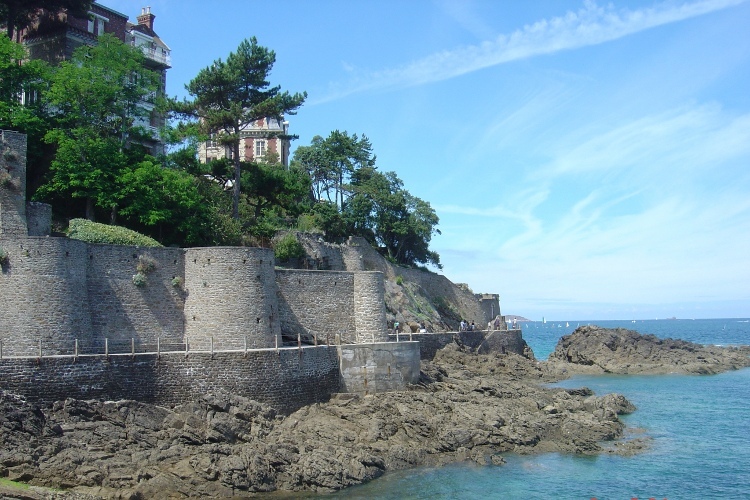 This area of the Cote d'Armor is extremely picturesque with many small fishing ports & beautiful golden beaches. At St Jacut, you can walk across the sand to Les Ebihens Island, above, where the coves left by the receding tide are out of this world, a very pretty village with all the amenities as well as a tourist board & market, which stretches though the whole village in the summer. Purchase seafood caught that day. There are a number of restaurants & bars, a park, mini golf & tennis as well as a scuba diving club & land yachting. Just a few miles beyond St Jacut are more sandy beaches, at St Cast, more commercialized, but well worth a visit, then onto Erquy & Pleneuf Val Andre. Travelling in the opposite direction, Lancieux, St Briac & St Lunaire, fabulous for surfing, then onto Dinard & St Malo. For the more more energetic, there are many coastal footpaths along this beautiful coastline. Once named ‘The Nice of the North’ and has been a popular seaside resort since the mid 19th century when many palatial villas were built along its cliffs. Although more commercialised, there are attractive beaches with distinctive blue and white beach huts and a unique walkway/causeway winding around the headland to the port. 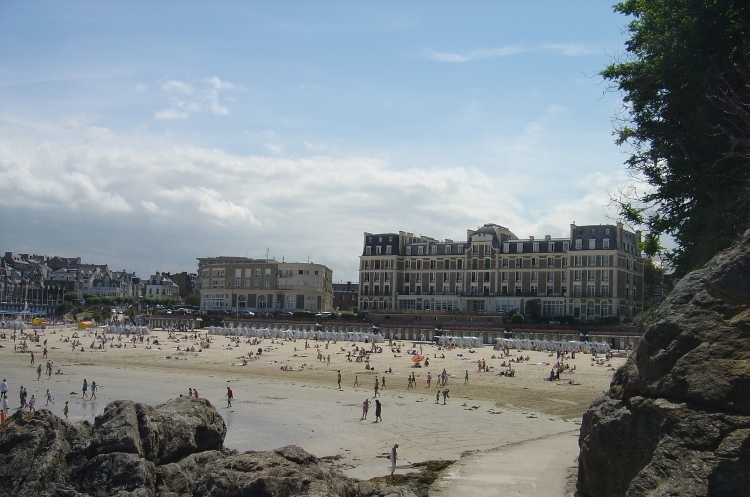 Dinard also boasts a casino, with many good shops & restaurants.